This summer, I worked for the Home Base Program through Massachusetts General Hospital and the Red Sox Foundation. 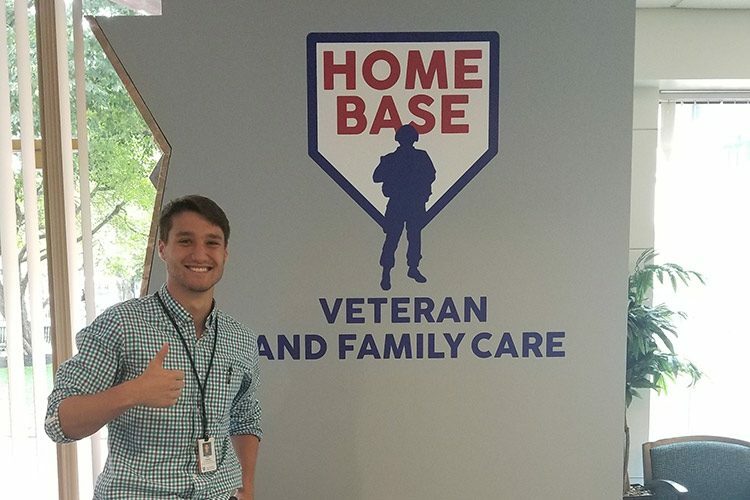 Home Base provides clinical care and support services to veterans of post-9/11 conflicts. It also conducts research to identify and implement new treatments for post-traumatic stress disorder (PTSD), traumatic brain injury (TBI), and other invisible wounds of war. In my role as a research intern, I aided in tailoring the “Resilient Family” stress management course to cater specifically to the needs of veteran caregivers. I transcribed focus group interviews, entered intensive care program (ICP) patient data and other Home Base patient data, attended research meetings and treatment rounds, and conducted literature reviews to aid in the writing of several studies. Since taking introduction to psychology my first year at Colgate, I knew I wanted to pursue a career in mental health. However, I wasn’t sure whether I wanted to go into psychiatry, psychology, or social work. The Home Base program employs individuals in each of these fields. That was a huge draw, because I was able to learn the nuances of each mental health profession and the ways in which they work together to improve patient treatment outcomes. Hearing the Home Base patients’ stories was both humbling and inspiring. On the last day of the two-week intensive care program (ICP), an Afghanistan combat veteran spoke of how his PTSD symptoms were so severe that he hadn’t been able to leave his house during, let alone celebrate, the Fourth of July holiday — fireworks and other loud noises were such intense triggers for him. He devoted so much of his life to defending something represented by a holiday that he couldn’t take part in because of his disorder. He then said that the treatment he received at Home Base had helped him a great deal and that, for the first time in years, he would be able to celebrate the Fourth of July in some capacity. Seeing such a dramatic example of how life-changing effective treatment can be was very moving. I was exposed to many stories and examples of this during my time at Home Base. My summer experience taught me a great deal about the research side of mental health patient care. I learned how to conduct focus groups via Webcam, collect and enter patient data, write up research articles and several other research related skills. I also learned a lot about the treatment of PTSD as a whole. Colgate provided me with an excellent set of skills that I needed to be successful in my internship. For example, I was frequently asked by psychiatrists and psychologists to search for literature relating to various research topics that they needed for papers that they were writing. I learned how to conduct such thorough literature reviews at Colgate. Most of the classes I’ve taken at Colgate so far have been small and largely discussion based. This format required me to verbally express my thoughts and arguments. Being able to communicate and work with a team of researchers was essential at Home Base and the nature of my classes at Colgate really helped with this aspect.